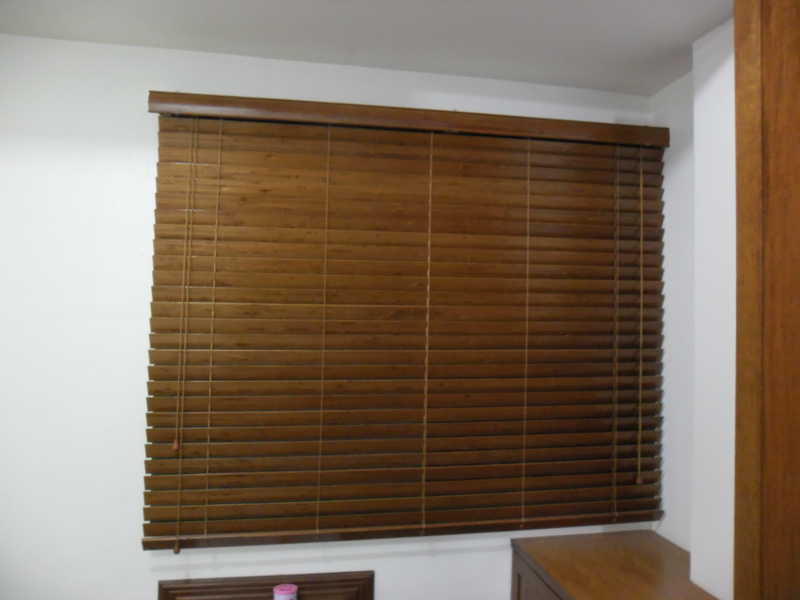 Wooden blinds or simply “wood blinds” is made up of real sleek wood. 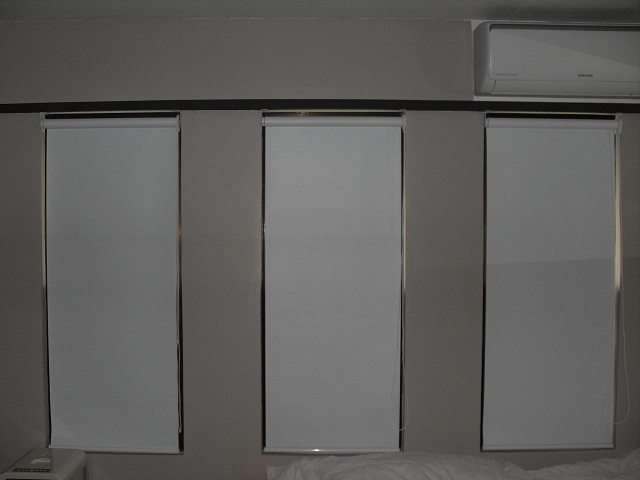 That means as compared to faux wood blinds counterpart, this blind is the genuine real thing. And since this is a real wood, it gives you more assurance that it will last for a long time. Of course like any genuine piece of item, it is a bit more expensive than the faux wood (PVC material wood-look-alike) type. However for those of you who’ve got the budget, it’s worth spending for because it will give your home a stunning and luxurious finish. 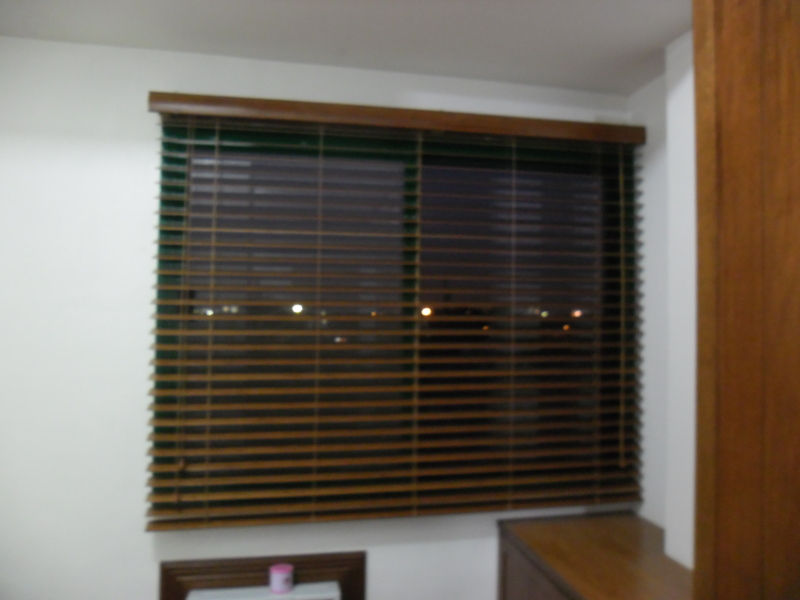 See the wood blinds in our photos taken at one of our client at Isabelle Garden Villas located at Moonwalk, Paranaque City. She chose to have Chestnut color that matches the furniture of her room. The controls are easy to manage, you will just move the horizontal slats upward or downward and it will allows you to control the amount of light you want to enter your room. 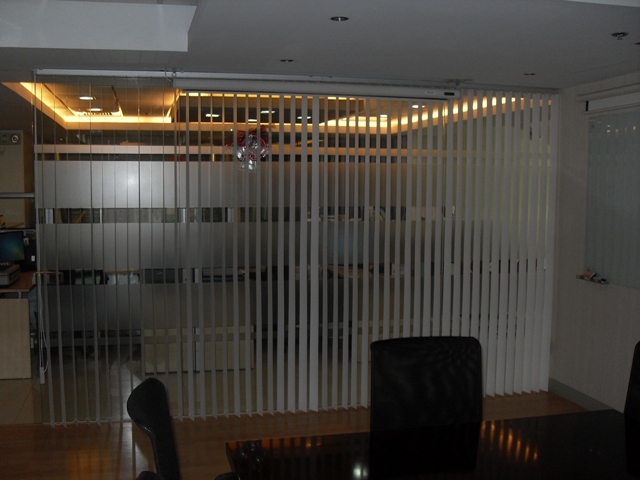 DS Windows & Walls Interior Supply which is the #1 supplier of window blinds in the Philippines. You can customized your own color combination you want based on your preference. For any questions you can talk to us at (02) 403-3262 and our facsimile at (02) 893-1373 or you can also text us to 0916-311-3909 and for FREE Quotation you can email us at inquiry@dswindows.com for any products you’ve been interested. Visit our store located at 4th Floor of Waltermart Center, Makati City. We do also offers FREE Estimate within Metro Manila.